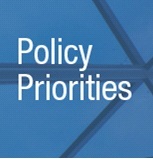 What can the property sector expect in 2013 as far as European policy is concerned? How will we follow up on the Services Directive and the revision of the Directive on Recognition of Professional Qualifications? What is at stake with regard energy and the environment? Must we expect new initiatives in the area of economic and financial governance? Some forecasts for the coming year. The Internal Market, and in particular the realisation in full of the Single Market, remains central to EU policy thinking. Therefore there will be continued pressure to further integrate the Single Market in particular by way of adoption of the proposals in the Single Market Acts I and II. Services are an important area for the EU economy and growth and again represent untapped potential in terms of the development of cross-border services. We can expect continued emphasis on the implementation of the Services Directive and the careful examination of remaining professional restrictions in EU countries.